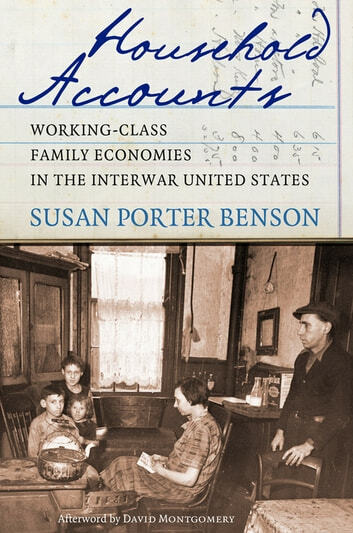 With unprecedented subtlety, compassion and richness of detail, Susan Porter Benson takes readers into the budgets and the lives of working-class families in the United States between the two world wars. Focusing on families from regions across America and of differing races and ethnicities, she argues that working-class families of the time were not on the verge of entering the middle class and embracing mass culture. Rather, she contends that during the interwar period such families lived in a context of scarcity and limited resources, not plenty. Their consumption, Benson argues, revolved around hard choices about basic needs and provided therapeutic satisfactions only secondarily, if at all.Household Accounts is rich with details Benson gathered from previously untapped sources, particularly interviews with women wage earners conducted by field agents of the Women's Bureau of the Department of Labor. She provides a vivid picture of a working-class culture of family consumption: how working-class families negotiated funds; how they made qualitative decisions about what they wanted; how they determined financial strategies and individual goals; and how, in short, families made ends meet during this period. Topics usually central to the histories of consumption—he development of mass consumer culture, the hegemony of middle-class versions of consumption, and the expanded offerings of the marketplace—contributed to but did not control the lives of working-class people. Ultimately, Household Accounts seriously calls into question the usual narrative of a rising and inclusive tide of twentieth-century consumption.